I know protein balls are all the rage right now, and understandably so! 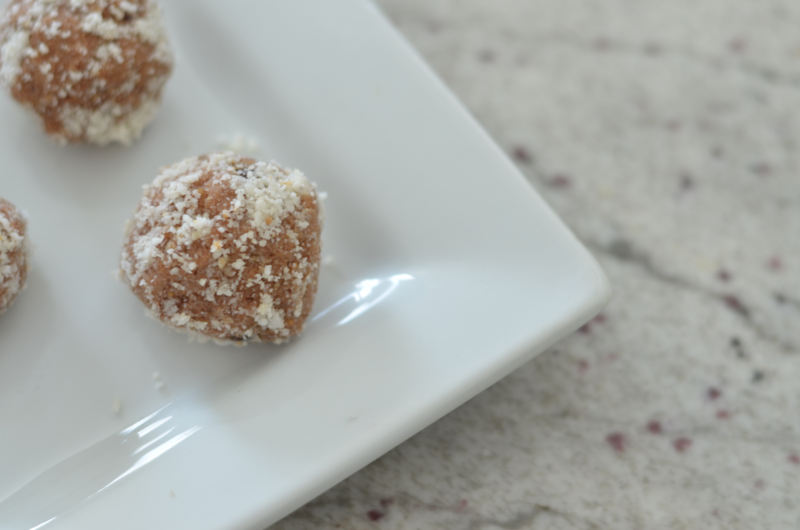 Protein balls are easy to make and even easier to grab on the go for a protein packed ball of goodness. When it comes to treats (even healthy treats like these) it’s important to make sure you’re staying balanced and not going too crazy on the sweeteners. Veggie Lisa makes the most delicious treats but makes sure to keep the ingredients balanced so you’re not over doing it on the sugars (thank you, thank you!). Give these a try I’d love to hear what you think! Mix together all ingredients except shredded coconut in stand mixer. Scoop out spoonful size scoops and roll into balls. Roll into coconut. Freeze on a cookie sheet until hard. Can keep in fridge for up to 2 weeks, or in the freezer up to 1 month. What is your favorite flavor of protein ball?